Ergonomic chairs are more comfortable than regular chairs, helping with better posture and overall better health. 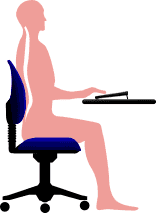 When an ergonomic chair is designed correctly, you will be helping your body while sitting for 8 hours at desk. We are continually seeing patients with overuse injuries due to sitting for long hours. Ergonomic chairs help with the prevention of such injuries. Typically, ergonomic chairs conform to your body and provide extra support and comfort. Ergonomic chairs support your arms and back and make it easier for you to concentrate on your work. 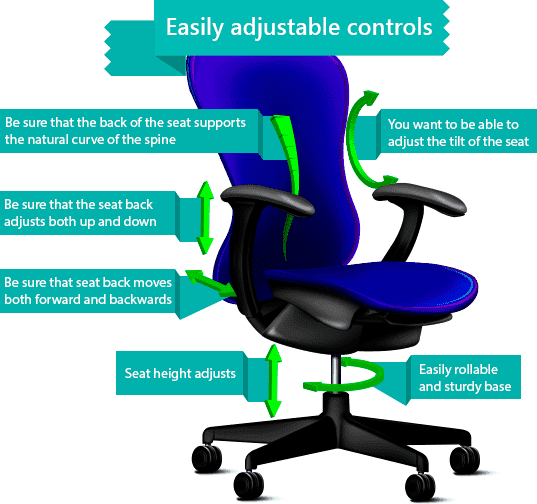 You are able to adjust your chair by height, forward or backward and even rear tilt. The cost of an Ergonomic chair usually costs more than a regular chair, and are built to last a long time. These chairs are better for your overall health and better for your body, including your neck, back and arms over the long term. When creating a home office it is important to pick the right equipment that allows you to be at your best and work productively. Ergonomic chairs can reduce the strain on your body.